Our August 2016 Featured Blogger is Arabic Seeds by Emilie Ummu Meriem. Ummu Meriem is a French Muslima, founder at Arabic Seeds. She home-educates her bilingual child in Arabic mostly, using it in their daily life. 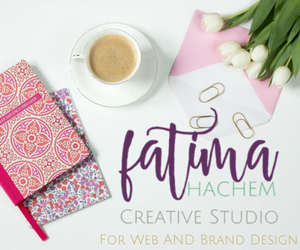 She is glad to create attractive Arabic resources for kids, to share her Arabic teaching and practicing tips on her blog and social medias. She also loves to learn about Early Foreign Language Teaching and Bilingualism/Multilingualism. Continue reading to find out more about her blog! 1. When and why did you start blogging? Did anyone, in particular, inspire you to start? I started my website on November 2015 and published my first blog post on January 2016. I am a newbie learning and improving as she goes ^^ inshaAllah. Blogging is a great way to offer valuable content to my readers and customers, and to attract new visitors. 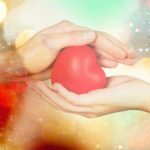 And through my blog, I also hope to earn rewards from Allah –subhAnahu wa ta3ala- by helping and inspiring others. 2. 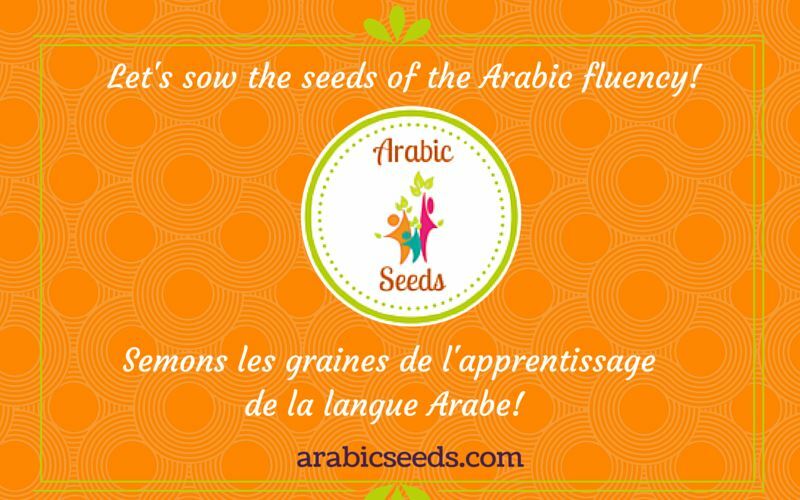 How did you come up with the idea of Arabic Seeds? I am a non-native Arabic speaker mostly raising my child in Arabic. I struggle to find good Arabic resources adapted to non-native speakers (for example with the Arabic text vocalized) and I am so upset when I find resources with mistakes in the Arabic text. This is one of the facts that gave me the idea of Arabic Seeds. I also want to show to Muslims that it’s possible to acquire Arabic -with the permission of Allah- and to use it in our daily life with our kids, so it’s beneficial for our religion. Another reason is that I was a stay-at-home mom and after several years, I was feeling the need of working (while respecting my familial commitments and Muslim way of life). Arabic Seeds is an online-based project so I can work from home and take care of my child walhamdulillah. 3. Tell us a little bit about your project and teaching methods. So, my project focuses on developing downloadable and digital Arabic teaching resources (printables, audios, videos) adapted to non-native Arabic speaking children (and their parents), particularly preschool-aged children. Of course, native Arabic speaking parents and teachers can use them^^. Through my blog, I help parents to practice Arabic at home with their kids and share teaching approaches and activities through my blog posts. I promote a play-based method to teach Arabic to young kids, exposing them to fluent Arabic (not just isolated words to learn by heart) through meaningful everyday life’s topics, making them practice the 4 skills of the language (and particularly listening and speaking because they are at an early stage). 4. How do you manage to create a balance between being a parent and being a blogger? It’s a thing that I need to improve. I try to work when my child is sleeping but work a lot when she is with me at home. She is 4 years old and very creative –may Allah bless her- so I let her use paint, pens, pencils, sheets, puzzles, playdough and so on, so she is busy while I am working. I try to ensure that we go out every day (to the playground, library, or parent-child programs) so we do something enjoyable together (and I am not working on my computer or checking my social medias during this time). I also use a to-do list, Google Calendar with the notifications and a calendar on the fridge to remember what I have to do daily and the activities/events I want to go with my daughter. 5. What’s the most challenging thing about blogging? I have a lot of ideas for my blog but feel that I don’t have enough time to write. It’s sometimes frustrating. I also blog in English which is my second language, so I am sometimes afraid of writing with too many mistakes and that my readers feel bored ^^ (when I will be able to afford it, I think I will request a proof-reading service). 6. What’s the most challenging thing about learning Arabic? Learning a new language (it’s not Arabic in particular) from scratch as an adult can be difficult and we can sometimes feel demotivated and overwhelmed. I know most non-native speakers are discouraged by learning to read in Arabic and by the grammar. It’s not insurmountable if we persevere, practice regularly, and give to this learning a daily meaning bi’idhnillAh. Alhamdulillah I found the solution by using it in my daily life with my daughter. With this way of learning, I think I learned Arabic easier and faster than English at school. 7. What do you hope to gain from blogging? 8. How do you motivate yourself to keep writing on your blog? When I see that more and more people are discovering my project and find my blog posts useful, it motivates me to pursue. 9. What is your main passion when it comes to blogging and how do you manage to organize your thoughts and experiences? Like I said, I love the fact that I can help and inspire others through my writings. About organizing my thoughts, I find it helpful to write my ideas of future posts’ topics in a Note application when they come to my mind (I don’t trust my memory, I have too many things to remember as a mother, blogger etc…^^). I also like to write the main ideas of a post in a notebook before writing the draft on my blog. But I am a newbie and I think I need to improve my organization. 10. Have you had any opportunities arise as a result of blogging? My blog is open to guest posts so it allows me to connect with other moms, bloggers, and mumpreneurs. I also write myself as a guest on others blogs and plan to write reviews of Arabic physical products for kids and connect with their publishers. Those “win-win” collaborations result in being introduced and discovered by new people and growing my audience. 11. Where do you see blogging in 5 years? 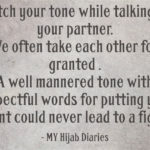 Will you still be doing it in shaa Allah? I think that as long as I see that I can help others and provide good content related to my project and resources, I will blog. 12. What advice and tips would you give to someone who may be thinking of starting a blog? Like many things in life, start little and go step by step. When you see other blogs with so many comments and readers, remember that they started from scratch too and that what you see is the result of months and years of work. You probably won’t see the result of your work immediately but later, be patient, learn as you go, and persevere. Want to connect with Arabic Seeds? You can find her on Facebook, Instagram, and YouTube. 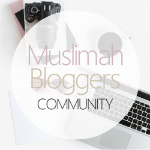 May Allah reward you for giving me the opportunity to introduce my blog and project! High Expectations from your Spouse?